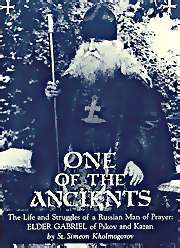 by St. Simeon Kholmogorov- 192pgs. The life and struggles of a Russian man of prayer. Tells of the Elder’s unceasing prayer, spiritual experiences and wondrous visions. A man of great courage in ungodly times.